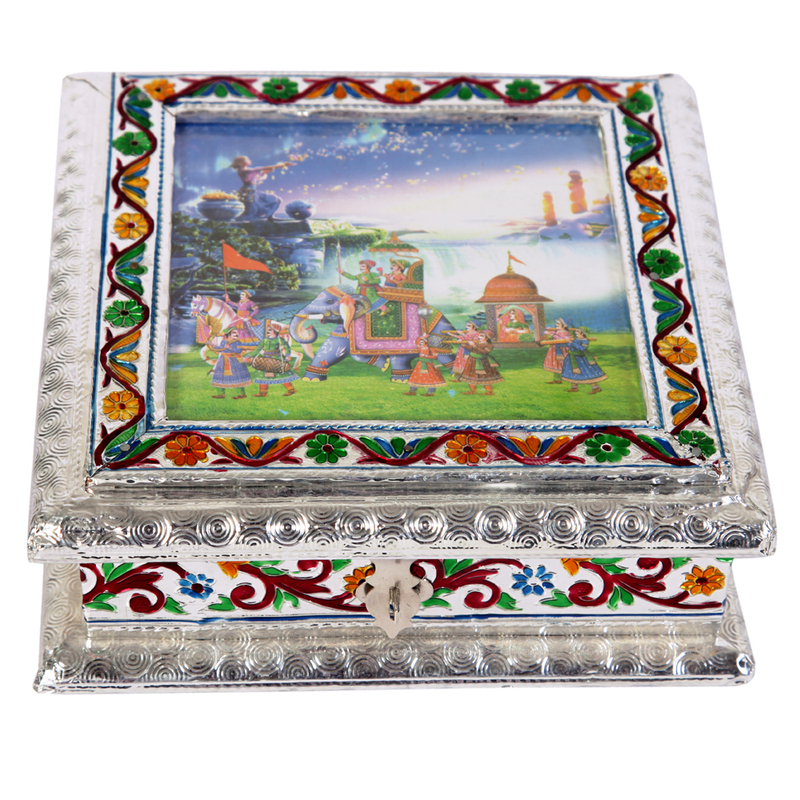 This white metal dry fruit box has aristocracy portrayed on all its corners with its magnificent beauty. The silver border adorns the dry fruit box. Read More..These kind of boxes are very much helpful during diwali, holi for distributing or presenting dry fruits. The covered box can be opened with the help of a lock attached on it. The image is beautifully painted on top of the box which further increases its beauty. Show Less..